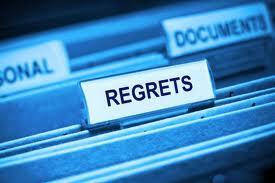 Business Regret: What’s it All About? If you listen to any of the successful leaders in business out there, you will hear them say over and over that it is about the people. In other words, to have a successful business, you must have the right people and they must be in the right positions, playing to their strengths. Then everything will be good.